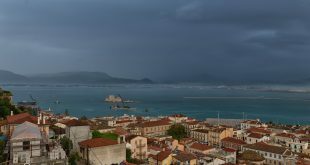 Half mainland of Greece is covered by snow, large parts of the Thessaly lowlands are covered by water. Strong winds have forced authorities to halt locally sea traffic for ferries and ships. 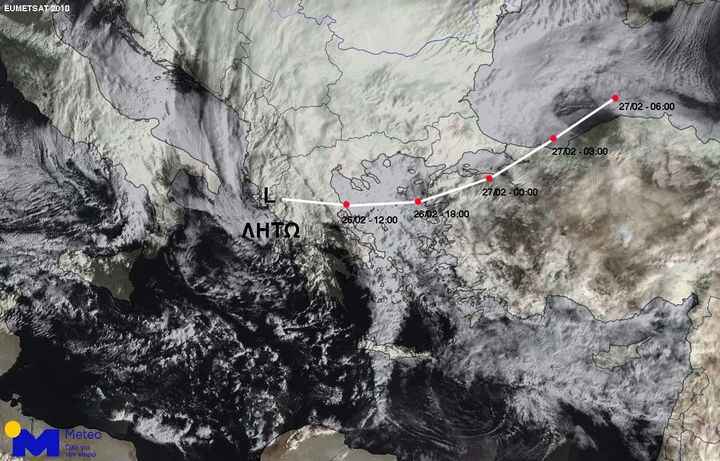 Many schools in Macedonia and Central Greece are closed on Monday due to snow- and rainfalls as well as frost. 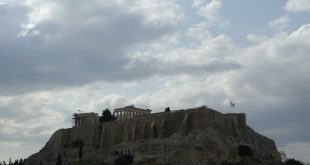 Strong rainfall in Athens and broader Attica prefecture has brought traffic to endless jams. Barometric low “Lito” has been striking large parts of the country as meteorologists have forecast. Snow started to fall since late Sunday afternoon in the mountainous areas of Epirus, West and Central Macedonia and Thrace but also in the outskirts of Athens. 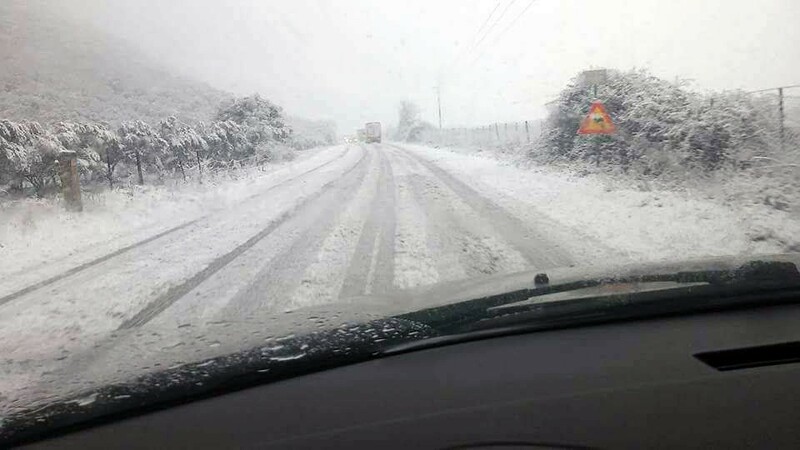 With the snow to have reached 1 meter in some areas, several villages have been snowed-in. 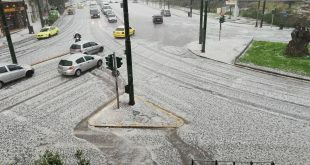 Snowfall right now also in the north of Thessaloniki. Already since Sunday, several flights have been cancelled in Thessaloniki airport due to weather conditions. Light snowfall in downtown Thessaloniki on Monday morning. Snowfalls in Kavala and Thassos island. 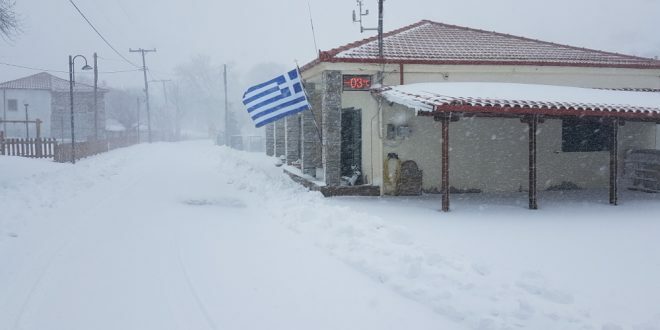 According to local media, the operator of the snow vehicles could not reach the island in the North Aegean Sea, as the sea traffic was interrupted due to gale winds. 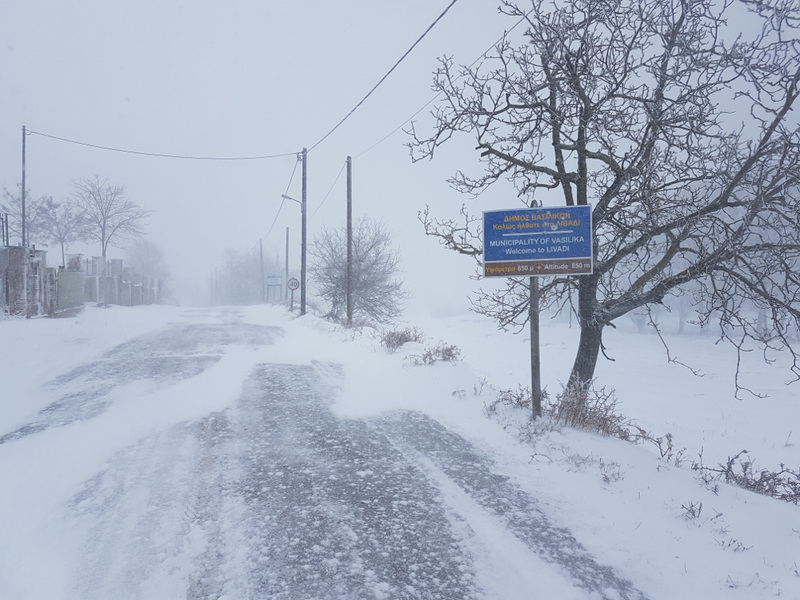 Approximately 50 villages in the area of Vasilitsa by Kozani are without electricity, state broadcaster ERT reported at 12 o’ clock noon. Several areas are also without electricity in Serres, East Macedonia. 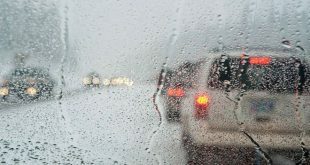 In the whole network of West Macedonia, authorities urge motorists to use snow chains. Thousands of acres of agricultural land have turned into an endless lake as torrential rainfalls for seven consecutive days have flooded main river Pineios as well as by-rivers and streams. 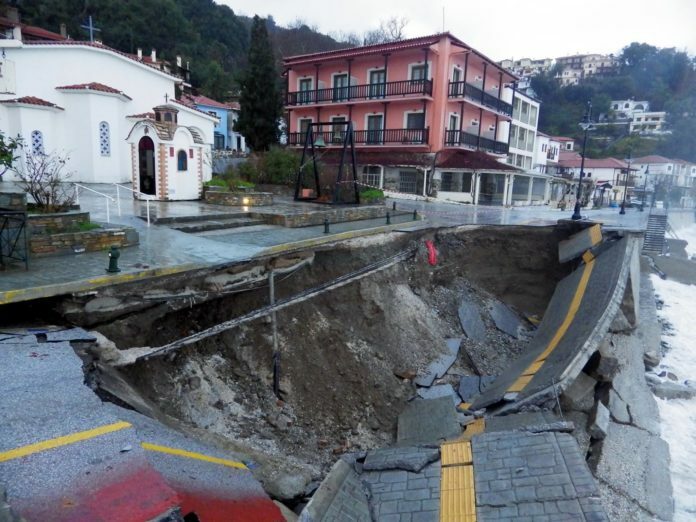 In Valtino water has flooded houses and businesses, power-outages and landslides have occurred. 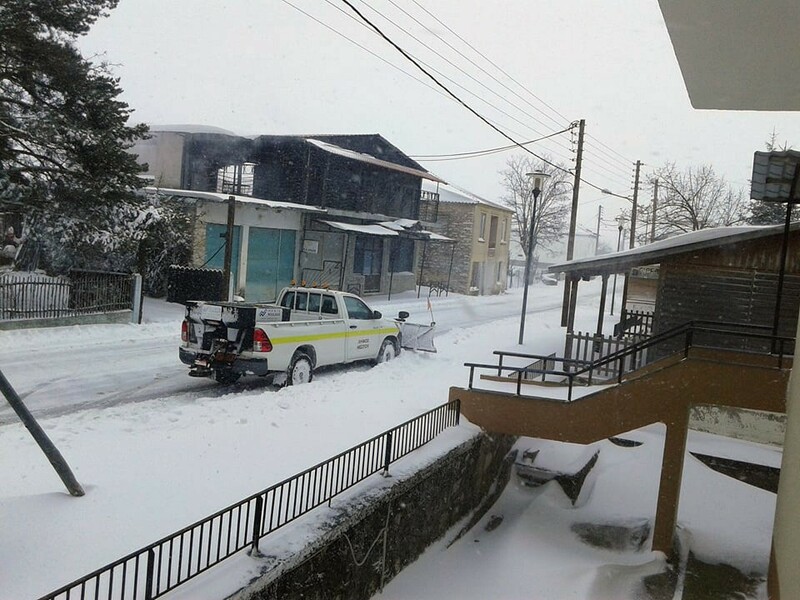 Severall villages in Pilio, Magnisia prefecture are also without power due to bad weather. 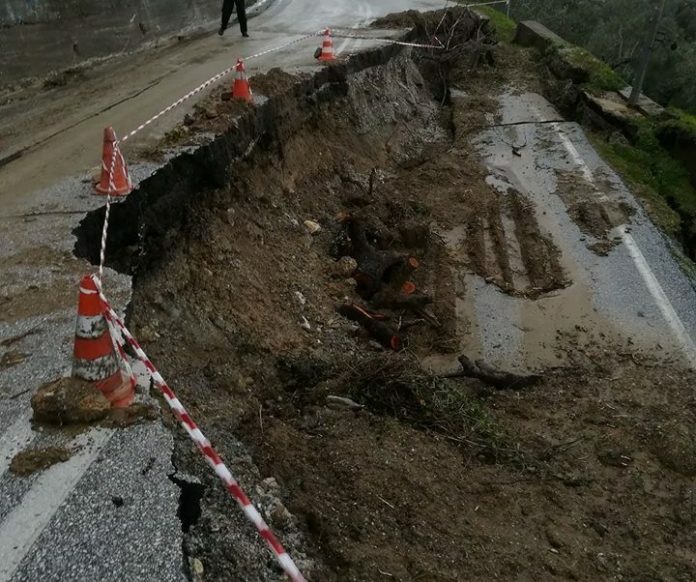 Torrential rains have reportedly caused landslides and damaged infrastructure networks. Damages due to rain- and snow falls have led to the closure of the ski center. The bad weather is expected to continue until Wednesday, Feb 28 2018, the earliest. 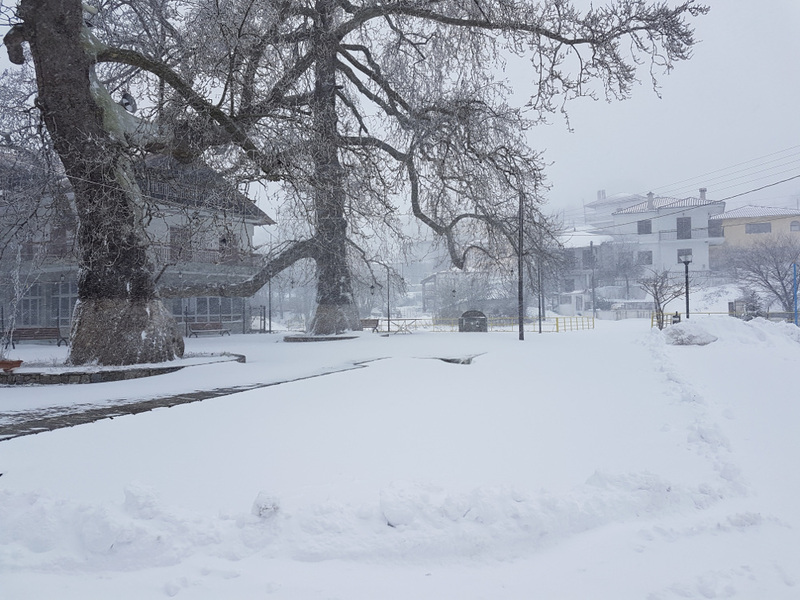 Tuesday, Feb 27, 2 a.m.
Low temperatures, rain- and snowfalls are expected to continue until the end of the week. Gale winds in the Aegean Sea.